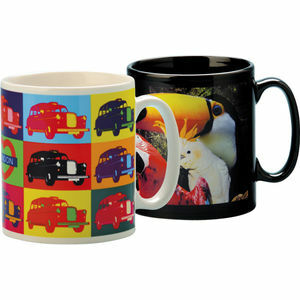 This sublimated durham mug is the perfect promotional mug for those wanting photographic and bright colourful images on a mug. With its large print area the possibilities are endless. This mug has been tested to over 2,000 dishwasher cycles. This product is part of our no minimum range and available with very short lead times.